Captain Alfred Williams Carter (No. 10 Squadron, Royal Naval Air Service) engages for half an hour, single-handed, five enemy scouts, which prevents them from carrying out a reconnaissance. The Steamer Rota (Master Alfred Frederick Thistlewaite) is sunk southeast of Berry Head killing five including her master. Flight Commander John Edward Sharman DSC (Royal Naval Air Service) is killed near Becelaere at age 24. He is an 8-victory ace and a member of Raymond Collishaw’s “Black Flight”. Captain William Arthur Bond MC (King’s Own Yorkshire Light Infantry attached Royal Flying Corps) is killed at age 28. He is a five victory ace and a sub-editor of the Paris Daily Mail. After his death, his wife Aimee wrote An Airman’s Wife about him. 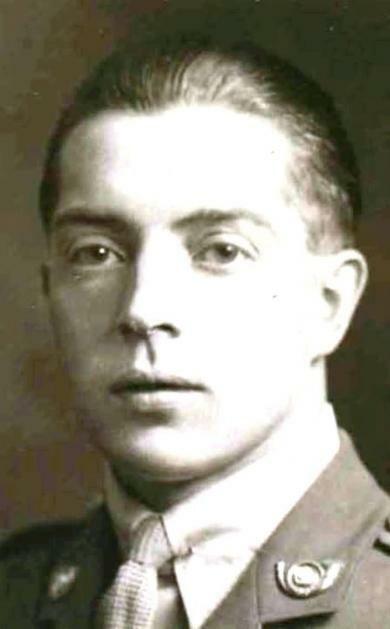 Flight Lieutenant John Albert Page (Royal Naval Air Service) is killed at age 24. He is a 7-victory ace. Lieutenant Robert Hartley Deakin (Jats Indian Army attached Royal Flying Corps) is killed in action with his observer when their Sopwith Strutter is shot down southwest of Ypres. He is the son of William Robert Deakin JP and is killed at age 22. Second Lieutenant L C Strange (Essex Regiment) and his brother Private Laurence Linklater Strange (Somerset Light Infantry both die of wounds on this day and are buried in Duisan Cemetery. Sergeant Major Thomas Linington Dallimore DCM (Royal Field Artillery) is killed in action at age 33. His brother was killed in July 1916. His award of the Distinguished Conduct Medal was for extinguishing a fire in an ammunition wagon. Lance Corporal Charles Cornish (Military Police) is killed at age 24. His brother was killed on the first day of the Battle of the Somme. Private Albert Wilton (Bedfordshire Regiment) dies at home at age 30. His brother will die of wounds in April 1918. Private Harry Charles Hughes (East Surrey Regiment) is killed at age 37. His son will be killed in 1945 on HMS Lapwing. Private Thomas Smith (Berkshire Regiment) is killed at age 19. His brother will be killed next month.